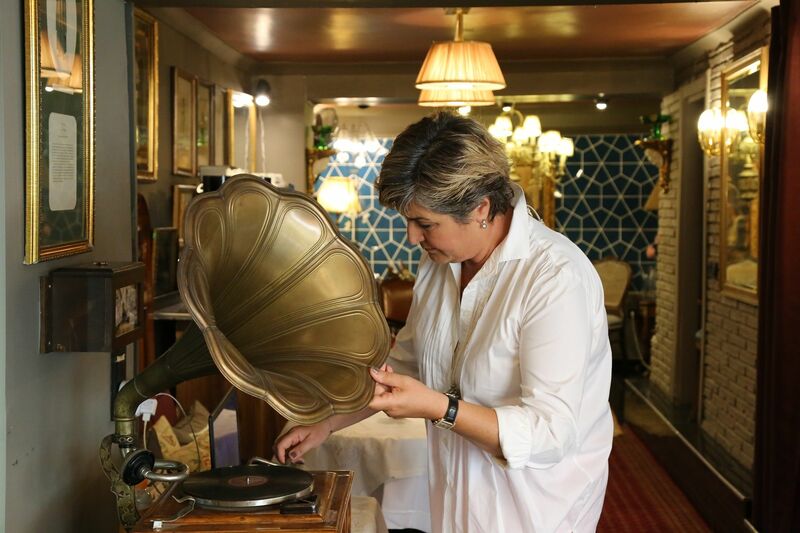 RETIRED lawyer Meral Demir revives history with the hotel she opened in one of Istanbul’s oldest neighborhoods, Cukurcuma. Having two small 18th century buildings restored, the contents of Meral Demir’s hotel are all antique works of art – except the TVs. From the door keys, the telephones, chandeliers, to the dinnerware – everything is a collection of antiques from Istanbul’s neighborhoods, chosen meticulously in the span of two years. Restored true to its original form, the hotel is regularly a host to auctions and art events. Stating that the second-degree Historical Building was restored and decorated in accordance with its original plan and structural technique, Demir explains the process of opening the hotel: “Our guests both enjoy purchasing different objects from the auctions we organize and also taking part in our dance events. Tango instructors among our guests spontaneously clear up a dance floor space and start dancing to tango music. We gave a break during the summer but during other seasons, we have jazz recitals and brunches every weekend. Our guests enjoy the homely, comfortable setting and the delicious variety of food choices we have. Once they have visited, our guests never forget us. 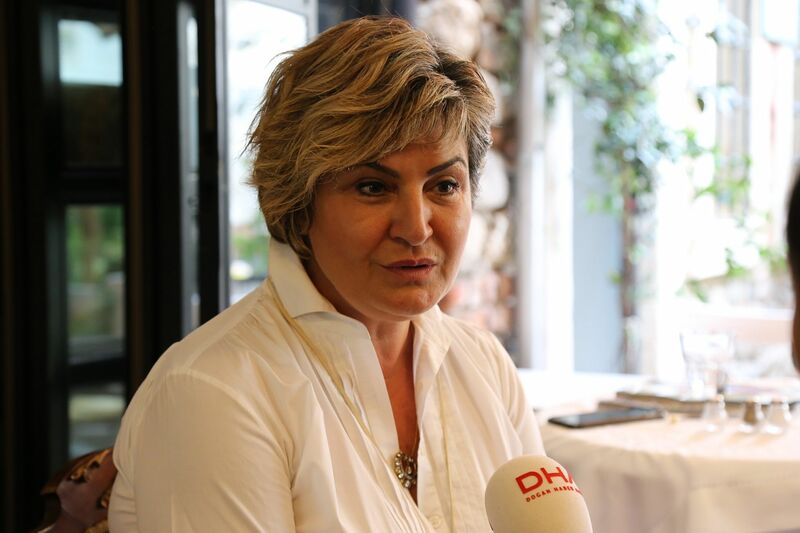 Because there is positive energy here, there are deep-rooted friendships and my devotion to this beautiful neighborhood.” Explaining how the hotel has gained the affection of people who appreciate the old and the historic, Demir describes how they have merged the old with new technology, “we also have 3D TVs with a keyboard and internet access. All our rooms are in the same style but decorated with a different theme,” “THIS IS A PLACE OF TOLERANCE AND LOVE FOR HUMANITY.” Explaining how Cukurcuma and her hotel are honed with kindness and compassion, Demir adds, “Here, in these buildings, as the Ottoman subjects Greeks, Armenians, Levantines and Muslims all lived together in peace. I wish this spirit to live forever. Because a multi-religious, multicultural atmosphere brings with it both tolerance and love for humanity. Beyoglu is an area where daily life continues and Turkish culture blended with Europe is experienced. Our hotel is a place where even our foreign guests can experience life as a resident of the neighborhood, a place where the love, labor and savoir vivre are blended together,” says Demir. “THEY MAY CONTINUE TO BUILD SKYSCRAPERS, BUT THERE WON’T EVER BE ANOTHER BEYOGLU” Summoning for the boutique hotels in Cukurcuma and Beyoglu to be given more value and protection, Demir states, “Some guests will come here and just sit the whole day, drinking their coffee, connecting to the internet and working.” I don’t mind if they don’t eat anything really, they can sit all day here; as long as they get the chance to indulge in the atmosphere and the spirit of the place. These old buildings cannot be replaced or substituted by new ones. This place might eventually be filled with smart buildings that are equipped with high-tech devices, skyscrapers; maybe even another Dubai will be built here. But Beyoglu will never be revived again.” WHY FAIK PASHA? Demir explains why the hotel is called Faik Pasha, “Faik Pasha was a soldier pharmacist from Italy, his original name was Francesco Dello Suda. Having eventually risen to the position of head pharmacist in the Ottoman Empire and one of the founders of the Red Crescent and the Turkish Pharmacist Guild, Faik Pahsa II, son of Faik Pasha, together with Giorgio Della Suda, were Ottomans who made great contributions to Turkish pharmacy.